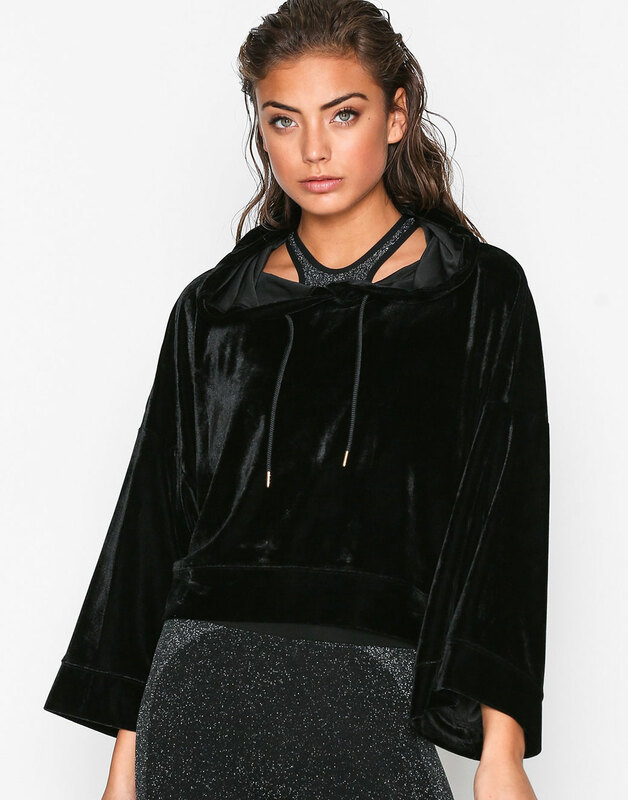 Velvet sports hoodie from Fashionablefit. Short and loose at waist. 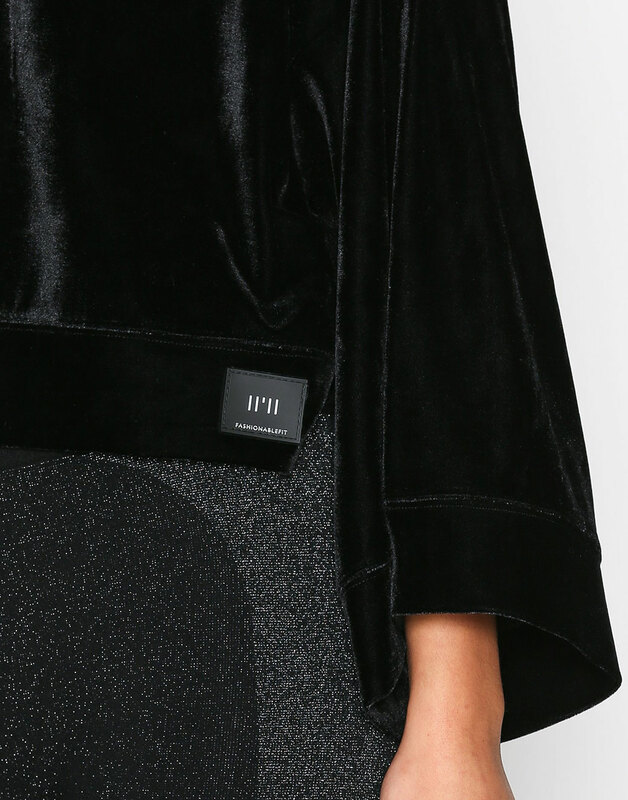 Small logo with text at front waist.